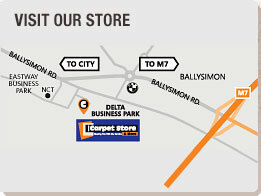 At the Carpet Store and More we stock all the latest colours and styles from all the leading makers. From casual to formal you will always find a carpet style that will enrich any interior setting in your home. We know what wears best where, which floors suit particular purposes, and what you need to consider when buying. We also offer a selection of underlays to prolong the life of your new carpet with a choice of prices to suit your budget. Whatever type of carpet you are looking for your first stop in the Carpet Store and More.